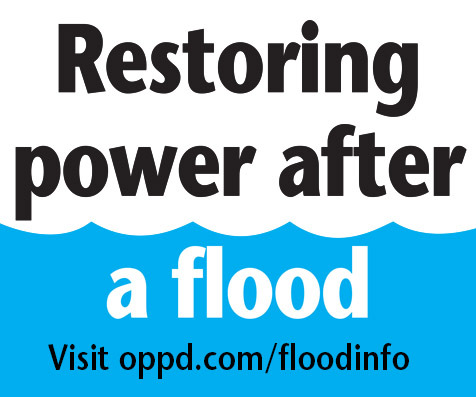 Updated March 22, 2019, 9:15 a.m.
With floodwaters receding, OPPD continues to keep a close eye on the forecast. More rain is expected this weekend. Our crews continue to ensure the protection of infrastructure and disconnect power for flooded areas, when needed, for safety reasons. 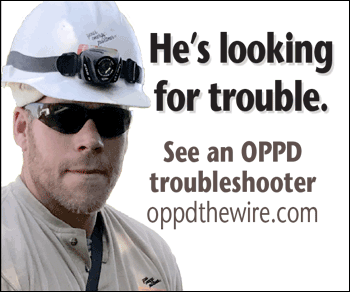 Read more on The Wire about what OPPD employees have been doing behind the scenes since weather conditions escalated. 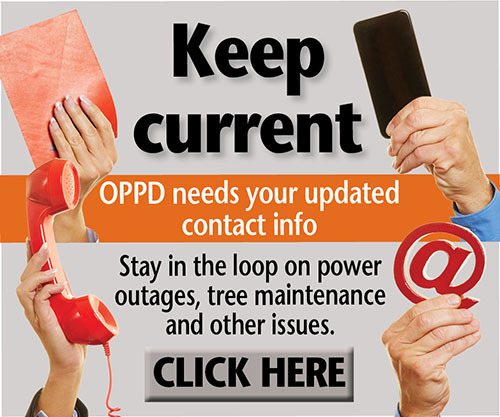 Click here for important information for those wishing to disconnect or reconnect power after flooding. Some may choose to use portable generators. Gas-powered generators should be kept OUTSIDE when running. And, NEVER hook them up to your electric meter. This is extremely dangerous and can cause your house to catch on fire. Read more about generator safety here. If you should experience an outage not related to flooding, be sure to report the trouble either online or by calling 1-800-554-6773. Please keep in mind that travel in some areas may be restrictive due to flooding. Our crews will respond as soon as they safely can.